A recently spotted message has revealed that Google is working on a "Chromoting" remote desktop app for iOS. Chromoting is essentially a remote desktop client that will allow users to control their computers from their Android and, now it would seem, iOS devices. The message popped up on Google's developer site for Chromium, the open-source browser that's at the heart of Google Chrome. It appears to be from one developer to another, discussing the iOS and Android versions of the Chromoting app. The Chromoting app is related to the Chrome browser's own remote desktop and screen sharing features, which as TechCrunch points out graduated from beta in 2012. There are plenty of similar services, like LogMeIn and TeamViewer, but Google's is free and works natively with Chrome. However, according to the developer post, the iOS and Android apps are in need of an aesthetic overhaul. "As noted, the iOS version is very unpolished at this stage," developer Hannah S. wrote. Icons, toolbars and more apparently need to be re-designed and re-organized. In addition the iOS version is reportedly further behind than the Android version. It will ship first, though no time frame was given. 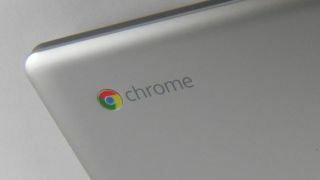 When TechRadar asked Google for more details, a company spokesperson replied that, "We're always experimenting with new features in Chrome, especially in the dev channel, but have nothing to announce at this time." Here's 21 brilliant iOS 7 tips and tricks.